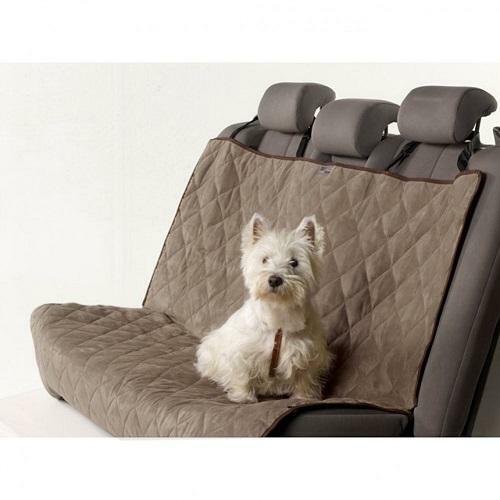 The Animal Basics Velvet Car Seat Covers provide a deluxe solution on a budget. Made of ultra-soft velvet fabric, they are available in three beautiful colors - with an accent "_ black with stone edging, sage with espresso edging, and stone with espresso edging. They feature fluffy quilting for comfort, inserts to keep them anchored to the seat, and nylon and elastic straps to hold them securely in place. The hammock includes an ample storage pocket. Keep your car free from dirt, dander, and spills with the Animal Basics Velvet Seat Covers. Available in rear seat and hammock sizes.